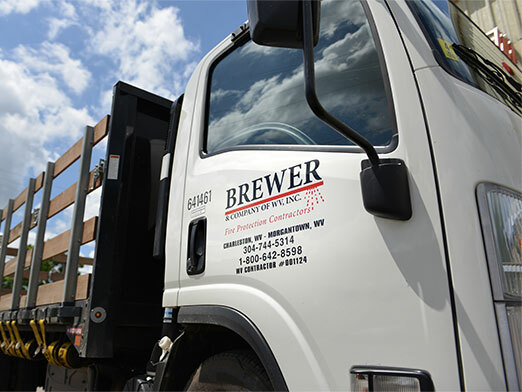 Brewer and Company was founded in 1945 by Roy Brewer and has grown from a rented garage to an office building and fabrication shop located in North Charleston, WV in 1972 and where it remains today. Roy ran the company from its inception in 1945 until the late 1960’s when he started handing over the reigns to his son, R.M. Brewer, II. In 1999 RM Brewer, after working for more than 40 years, had the trust in his employees and the foresight to sell a portion of the business to the Brewer & Company employees. Since that time the business has been an ever expanding, employee owned company. Presently, there are more than 100 employees at three WV locations serving six states. Longevity has been the key to Brewer’s success as they have had more than 30 employees over the years that have dedicated at least 25 years’ service. Water damage from a building sprinkler system will be much less severe than the damage caused by water from fire fighting hose lines or smoke and fire damage if the fire is allowed to spread. Quick response sprinklers release 8-24 gallons of water per minute compared to 80-125 gallons per minute discharged by a fire hose.